Sacha joined Staples in June 2013 to head the transformation of the Advantage business across Europe, based in the Amsterdam HQ. 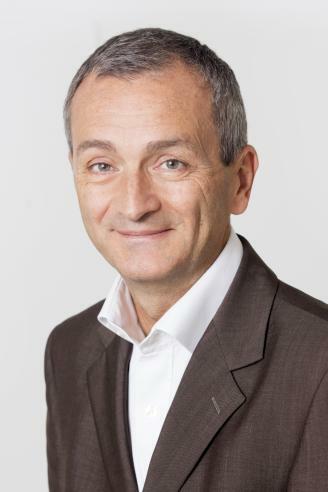 He then took over the position of MD Online France in October 2014 (JPG and Bernard business units). The Advantage France BU was added to his portfolio in January 2017. In November 2018 he took the VP South Europe responsibility, covering France, Italy and Spain. Prior to joining Staples, Sacha held senior managing positions in retail for more than 20 years, including at Office Depot (as MD Contract France and MD Retail France) , the Dixons Group and the Watson Group (Marionnaud). He also has private business ownership experience, having helped raised some funds to organize the purchase and then manage two distressed companies. Prior to that he worked 5 years in consulting. Sacha earned his MBA with Honors from the Insead business school. He holds a Master of Science in Telecommunications from Telecom SudParis. A French national, Sacha lived and worked in six countries (Italy, Poland, UK, Russia and The Nederland). Mother tongued French, he speaks fluent English, Italian and Russian. In 2011 he was nominated one of the top ten CRM personalities in France.